Want to join our team? Click to e-mail your resume! Lori has a diverse background ranging from being a color and cutting specialist to owning a salon in Dallas and ultimately running a full service Salon and Spa for WTS International in the Caribbean before joining the Denise Antonacci team in 2013. After being submerged in a wide range of cultures there is one constant Lori believes in. “When your hair looks great you feel great”. In depth consultation is key – What do you want to achieve today? Is there a long-term goal or change in mind? What will really work best for every client in her chair. She will be honest about what it will take from start to finish including what is best for home care. Hair integrity is so important – healthy hair will always hold color and style best. Lori is an expert at identifying what will keep hair healthy and always looking amazing between salon visits. 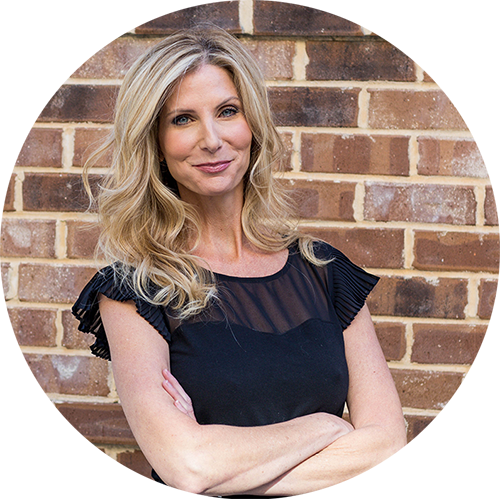 Lori is MY girl…she’s awesome….we’ve done short hair, long hair, curly hair, straight hair…and always a beautiful shade of blonde that looks oh so natural. Lori is THE BEST Colorist!!! She’s exceptional and after living in Manhattan and moving down South, she is truly and amazingly talented. She made my transition so easy and my hair looks amazing!! ©2019 Denise Antonacci Salon Website built by Green Beans Creative.